The immense back of the Javorniki hills has been watching over intermittent Lake Cerknica and shaping the character of the Notranjska region landscape and its people since the old days. The magical beech and fir forest of the Javorniki remains wild and mysterious despite its proximity to Slovenia's capital Ljubljana. 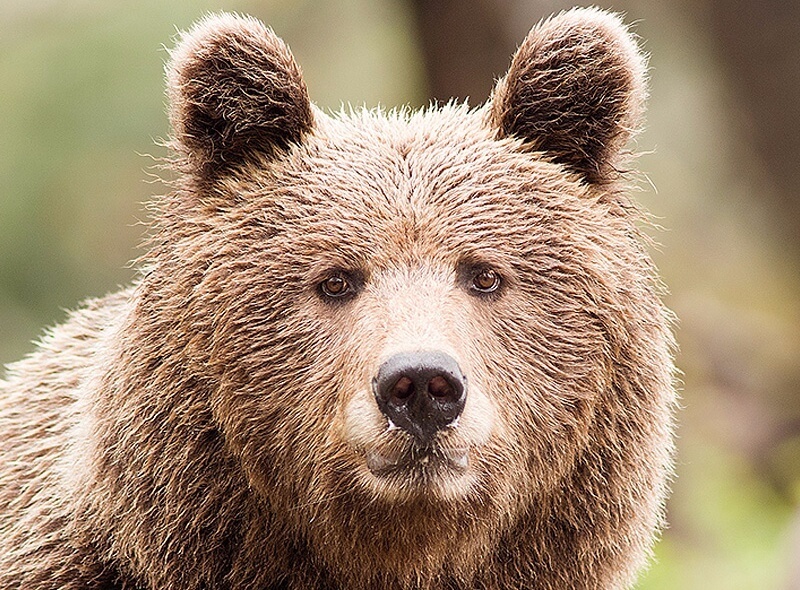 It is home to bear, wolf and lynx, whereas man is a welcome guest. The Javorniki hills are the lower part of the Snežnik plateau between the Cerknica plain in the north and Pivka in the south. 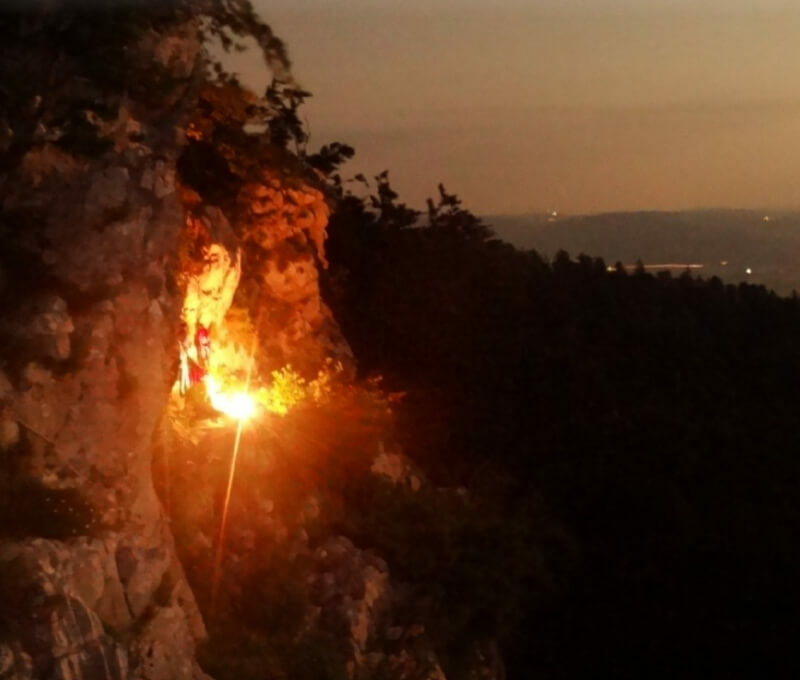 They stretch from the Postojnska vrata pass (Postojna Gate) and Mali Javornik hill (Little Javornik) in the north-west, to the Mašun hill and the Leskova valley in the south-east. 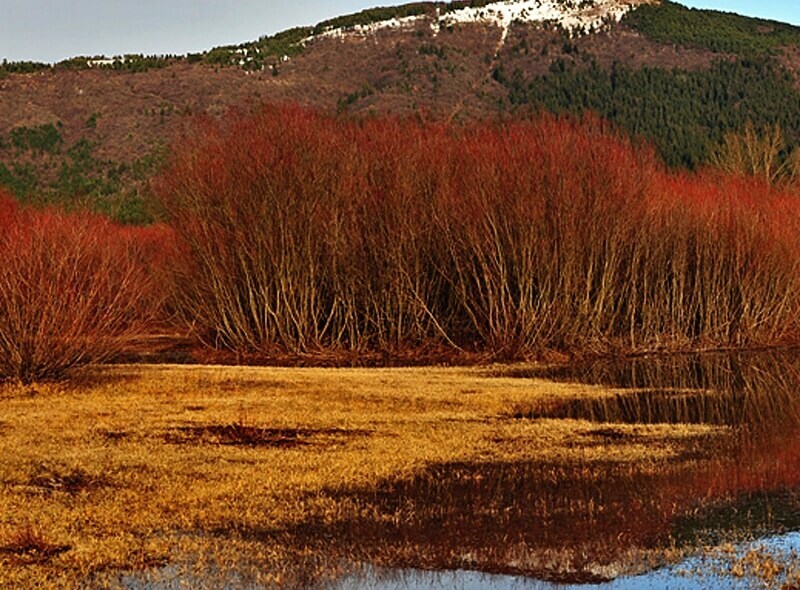 The steep northern slope of the Javorniki hills rises above Lake Cerknica into a high, rugged karst plateau of domed hills, deep valleys, dolines, pits and ice caves. The Javorniki's massif stops warm and damp air heading north from the Adriatic, giving the climate in the heart of Slovenia its typical character. The region is known for heavy rains which feed intermittent lakes on both sides of the ridge, Lake Cerknica and Pivka Lakes, and also the springs of the Pivka and Reka rivers. The woods of the Javorniki continue to the woods of the Snežnik and Gorski Kotar mountain range. 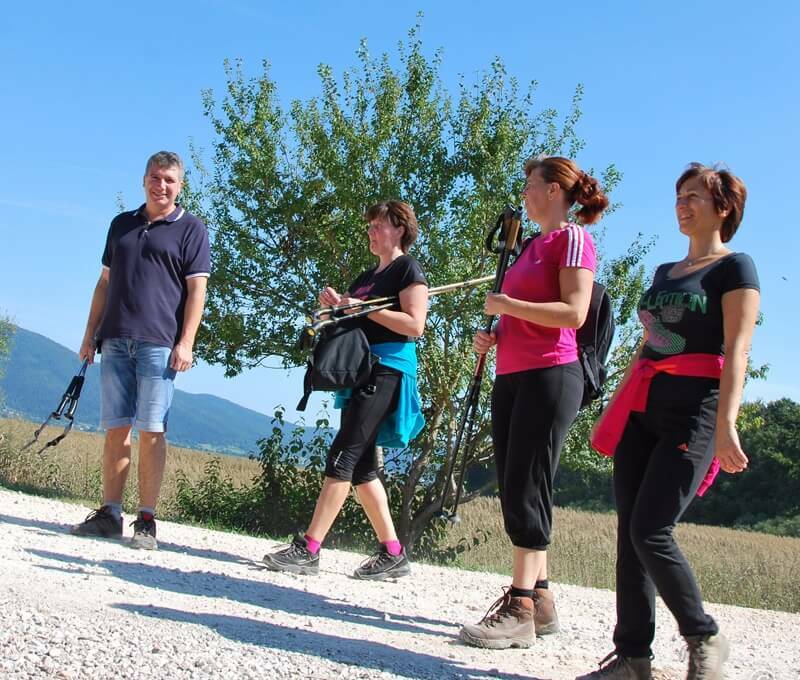 Together, they represent the largest uninterrupted forest complex in this part of Europe, act as a home to wild fauna and as a source of construction material and firewood, link the region with the Slovene Littoral and invite people to relax and come in touch with the unspoilt nature. A pack of wolves maintains the natural balance through a coordinated and continued hunt of old or injured hoofed mammals. Meanwhile, lynx is patiently waiting in ambush on its favourite rock. 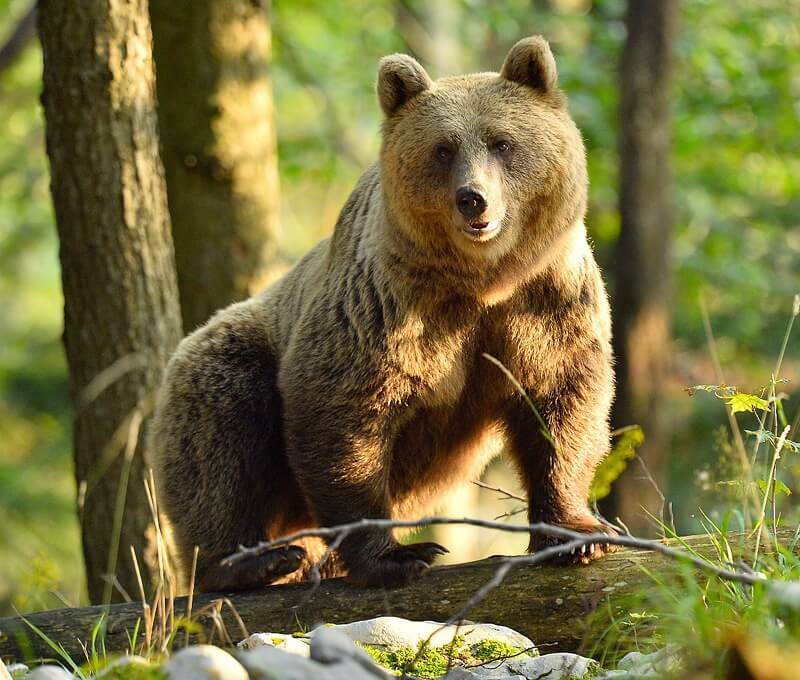 Bear, Slovenia's largest beast, gets its way in autumn when it feeds on beechnuts and is lured from the forest by fish caught in the puddles of the draining lake, and by the ripe common pears in high-trunk orchards. Beechnuts help other animals prepare for winter as well. The loudest among them are dormice. They are appetising to wildcats, martens, owls and even dormouse hunters who traditionally trap them in autumn. Forest bats species, which flutter after the flying insects at night, spend the day in the safety of their holes or cracks in old trees, but, in winter, they usually retreat to caves and pits. 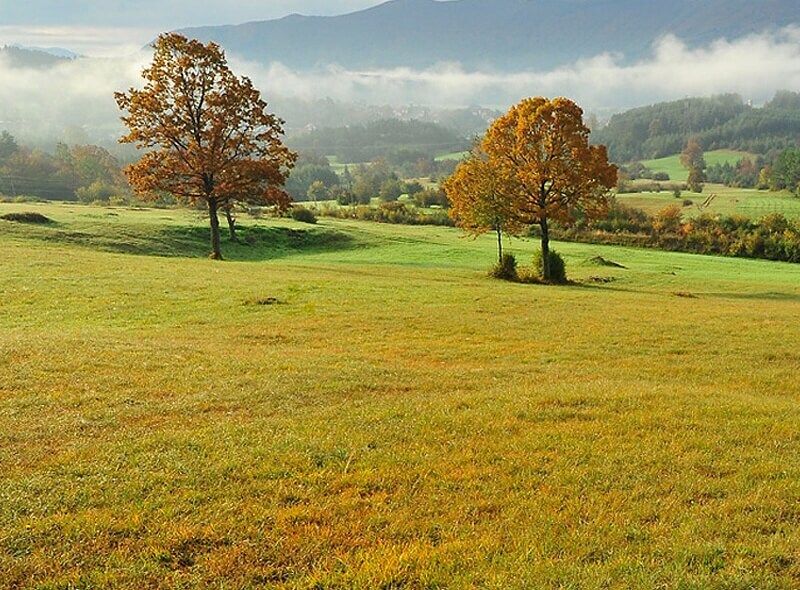 The well-preserved beech and fir forests are also immensely important for the endangered forest birds, and this is the reason why the Javorniki hills have been included in the Natura 2000 Network. During the day, European honey buzzard glides between the trees and peregrine falcon sets on a hunt from a ledge. Black, grey-headed, Eurasian three-toed and white-backed woodpeckers relentlessly dig beetle and butterfly grubs out of tree barks, declare their territory by hammering on hollow branches, and drill holes in trees. Black stork has found its nesting ground in the most remote part of the forest. When Eurasian pygmy owl, quite the character among owls, goes to bed, its larger relatives wake up: Ural, Eurasian eagle and Boreal owl. Indeed, here is never boring. Among other things, natural forest ecosystems also soothe the extreme climate phenomena, prevent soil erosion and act as water reservoirs. They invite us to relax from the tiring daily routine, but let's not forget – we're merely guests here; let's prove we're worth the invitation by behaving accordingly. The Javorniki's forests are most colourful in spring. After the snow melts and beeches just begin to turn green, the ground is covered by different kinds of undergrowth. Small yellow-flowered spring bloomer and Christmas rose, vernacularly called slepica, are accompanied by liverleaf, snowdrop, spring snowflake, different bittercresses, spring pea, vetch Vicia oroboides and blue-eyed Mary. Wherever we look, there's something blossoming. Forest orchids are not as endangered as their meadow counterparts, but they are no less intriguing. The first ones to blossom are common twayblade, white helleborine and bird's nest orchid, followed by lesser butterfly and greater butterfly orchid, fragrant orchid and broad-leaved helleborine. A persistent and observant visitor may also come across the rare Greuter's, violet and narrow-lipped helleborine. In summer, the native Justin's bellflower, shapely candytuft, boneset, wood ragwort, beautiful Turk's cap lily, gentle knotted crane's bill, field and Alpine rose, willow gentian, red campion and large-flowered calamint open their flowers. A feast for the eye and insects that doesn't seem to end any time soon. A hike in the Javorniki hills, coloured with warm autumn tints, when beeches, sycamore and field maples, wych elms, common ashes, rowans and whitebeams turn yellow, will bring a smile to every visitor's face.